Feature Films submitted will be viewed by the selection panel, and if chosen will be screened at the Daring Doccies Documentary Film Festival, awarded Official Selection status. Short Film entries will be compiled into a feature length collection. Please copy and paste the form below, fill in the relevant areas and e-mail it to us. In the case of multiple entries – please complete a separate form for each submission (it can be sent in one package). Also exclude any watermarks or time-code. * NTSC and other frame rates are also accepted, but your film will be converted to be played at PAL 25fps. To avoid unwanted quality loss, please submit your film at PAL 25fps. Do not attach a monetary value for the contents. Please mark package: "For cultural purposes only, no commercial value"
Daring Doccies is now also allowing on-line submissions. Where the DVD submissions have NO entry fee, for on-line submissions the bandwidth download cost and resulting added bulk of entries (which the judges will have to assess) has a $10us fee attached (which is about the same cost as postage to send physical DVDs with no entry fee). Payments can be made via PayPal. Contact us for on-line submission approval. Receipt of physical submissions will be notified via e-mail. Entrants will also be notified in the event of a feature / short being accepted for inclusion in the Daring Doccies program. Is this the director's first film? Is it a student film? How was this film funded? Please include press shots (& captions) where possible (or e-mail hi-res shots to info@flamedrop.com). Any additional promotional materials like posters or lobby cards are also welcome. Flamedrop Productions / Cinemaniacs, and the Daring Doccies Documentary Film Festival cannot guarantee that the short- or feature films submitted will be selected and screened in public, as the festival selection members / committee will be the final arbiters. Permission must be granted from the relevant rights holders (where applicable) of any copyrighted material used in your production (eg. 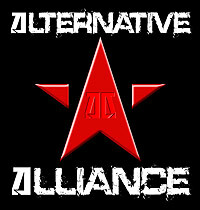 music, film, video, news, audio, clips from other sources etc. 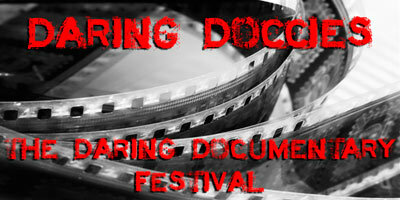 ), and the organizers of Daring Doccies cannot be held liable for the unlawful use of such material in submitted works. DVD copies supplied to Daring Doccies is non-returnable, and we request 2 copies in the event of either physical damage (in transit via the mail system etc. ), or any other technical problems (of a digital nature like corrupted disc data etc. ), and a data version for compiling and / or direct screening. Some of the information on this form may be used in various Flamedrop Productions / Cinemaniacs / Daring Doccies online and print publications. If you do not want any information you have included in this form made publicly available, please notify accordingly. I have read and understood these conditions and with this form grant Flamedrop Productions / Cinemaniacs / Daring Doccies the rights to publicly exhibit my submitted film/video production.